Deo Tal is a sacred lake atop Mana Pass, it is considered very holy since this lake is believed to be the origin of the Mythical Saraswati River. You can also see Rajas Tal and Nag Tal before Deo Tal on either side of the road. Deo Tal is just 3 kms before Mana Pass Zero Point. This lake is surrounded by icy peaks and remains frozen all the year around except for the month of September. In Sanskrit the lake stands as 'Lake of The Gods’. Mana Pass is the last point between India and China Border. It was an ancient trade route between India and Tibet. Mana Pass also known as Mana La, Chirbitya, Chirbitya-la, or Dungri La, is a mountain pass in the Himalayas on the border between India and Tibet. 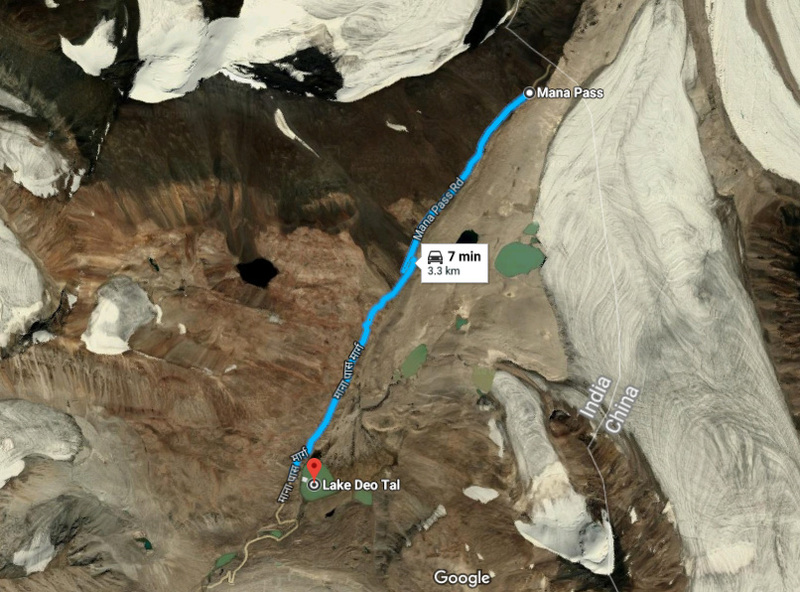 It appears to now be one of the highest vehicle-accessible pass in the world, containing a road constructed in the 2005-2010 period for the Indian military by the Border Roads Organisation. Mana pass is also the key col for climbing Chaukhamba peak. The road starts from Badrinath Dham to Mana Village, where there is a Mana Check Post of ITBP. Once permits are checked and with some regular formalities you can start your journey. The road is not in good condition, so try either bikes or off road vehicles with good ground clearance. After Mana Village all the location are Check Posts. Important: Inner Line permits are to be take from SDM Joshimath along with NOC Certificate from ITBP and Army for accessing Deo Tal or Mana Pass. No photography/videography will be permitted beyond Mana post and none of the members will be allowed to carry any camera/mobiles or any other recording device beyond Mana Village. Mana Pass was an ancient trade route between Uttarakhand and Tibet. This trade route was closed in 1951 by the Chinese. On April 29, 1954, China and India signed an agreement granting pilgrims and indigenous travelers the right to travel between the two countries through Mana Pass. Mana as a name derives from "Manibhadra Ashram", the ancient name of the town of Mana. Mr Gautama Dutta is former Olympic yachtsman and he commissioned and ran India's Olympic Sailing Centre at Bombay. He is round-the-world only yachtsman who holds the high altitude sailing record for his exploits on this lake and have been able to make a mark in the World of Sports and the famous Guinness World Records. 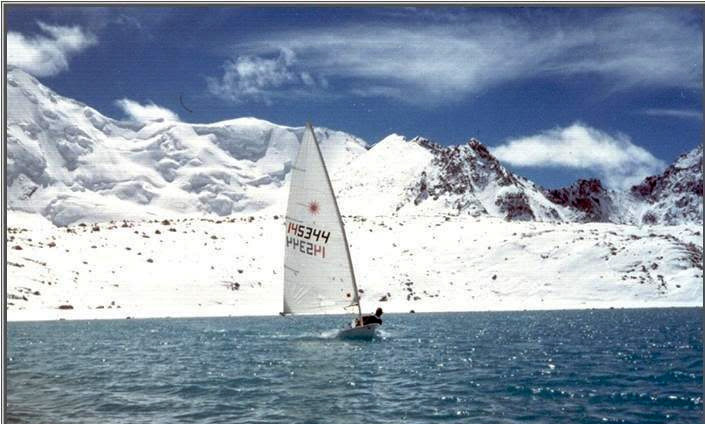 He sailed a Laser on Deo Tal at 5420 m on 18 Sep 1993. It is a World Record for sailing at the highest altitude. Pallavi Fauzdar is an ace Indian Adventure motorcyclist looking for new challenging adventures on 2 wheels at extreme altitudes. In 2015 she had done first ever successful solo ride to Mana Pass till Top. Mana Pass till date has eluded many riders and is considered the toughest pass to ride to. Free Souls Rider Motorcycle Club was first non-military citizens to scale the heights of Mana Pass and hold the record in The Limca Book Of Records. What is Deo Tal - Mana Pass famous for? 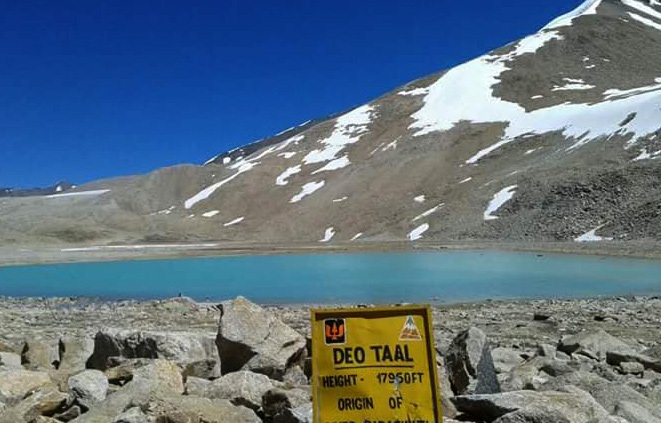 Deo Tal - Mana Pass is famous among tourist as Lake, High Altitude Pass, Ancient Trade Route, Biking, Road Trip. Deo Tal - Mana Pass is popular destination for following activities/ interests - Adventure, Biking, Camping, Lakes. Travelling to Deo Tal - Mana Pass in 2019? Contact us for planning your Deo Tal - Mana Pass tour with best travel packages of as per your requirements!